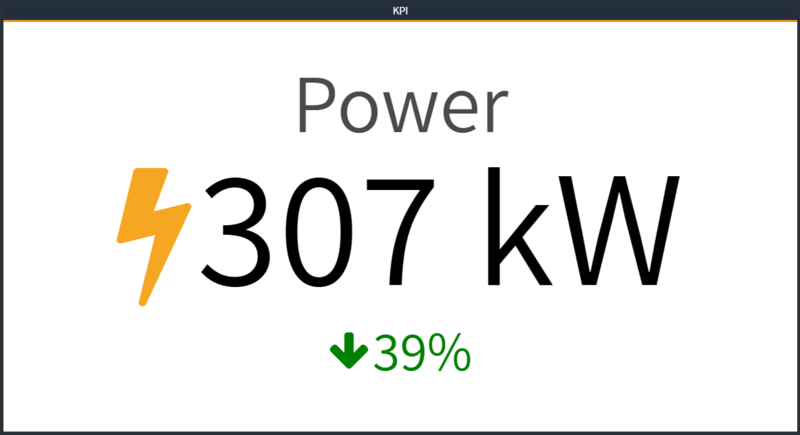 The KPI viewlet can be configured to show the current value of any monitored variable or total value for a period of time. For example, “Yearly Savings to Date”, “Avoided CO2”, “Campus kWh This Month”, etc. It can be configured to mirror real-time point data or calculate an accumulated value over a period of time such as “This Month”.